Queen Sophie-Charlotte was the impetus behind this sprawling palace and garden complex (and gave her name to both building and district) - her husband Friedrich III (later King Friedrich I) built it in 1695-99 as a summer home for his queen. Later kings also summered here, tinkering with and adding to the buildings. It was severely damaged during World War II, but has now been restored, and stands as the largest surviving Hohenzollern palace. There are various parts to which the public are admitted; easiest option is to go for the combination ticket that allows entrance to nearly all of them. 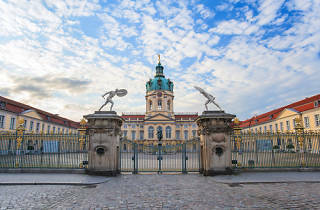 The one must-see is the Neue Flügel (New Wing), containing the State Apartments of Frederick the Great. The Neue Pavillon (New Pavilion) was built by Schinkel in 1824 for Friedrich Wilhelm III, who liked it so much that he chose to live here in preference to the main palace. 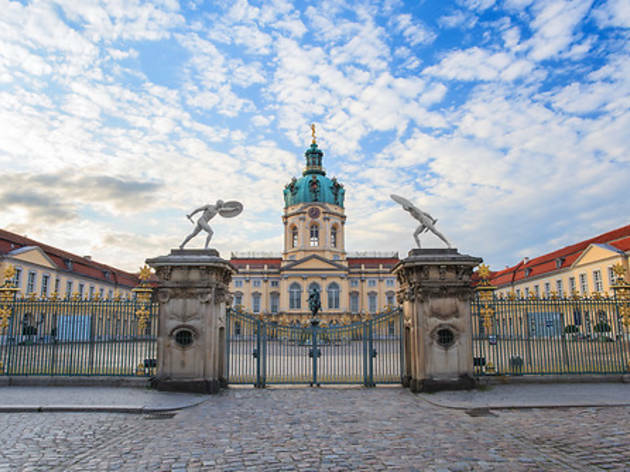 Within the huge gardens is the 18th-century Belvedere, containing a collection of Berlin porcelain, and the sombre Mausoleum, with the tombs of Friedrich Wilhelm III, his wife Queen Luise, Kaiser Wilhelm I and his wife.